Cubana de Aviacion plane with 104 people on board crashes. Three survivors in critical condition. A Cubana de Aviacion Boeing 737-200 with 104 people on board crashed on Friday on takeoff from Havana's Jose Marti International Airport, CNN reported. Three passengers were in critical condition after surviving the crash, the state-run newspaper Granma reported. 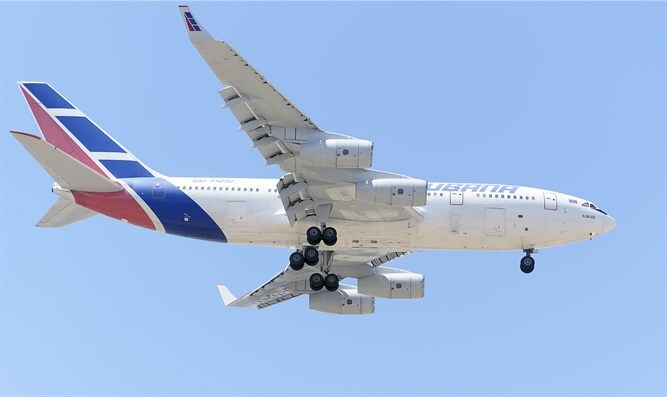 The flight to the eastern Cuban city of Holguin went down at 12:08 p.m. in an agricultural area in the Santiago de las Vegas neighborhood near the airport, according to reports. Search and rescue personnel were on the scene, with some residents joining in to help, according to CNN. Cuban President Miguel Díaz-Canel is at the scene of the accident. Holguin is more than 700 kilometers (about 500) miles east of the Cuban capital. Cuban state media originally reported the flight was bound for Guyana. Cubana de Aviacion, Cuba's national carrier, has had to ground some of its aging fleet because of safety issues. However, the cause of Friday's crash is unknown.